I’m on a committee at the Asheville Humane Society, and whenever I attend a meeting there I can’t help but walk through the aisles of dogs and puppies for adoption. 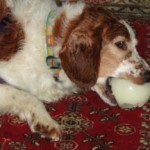 Last week I stopped to admire an adorable tri-colored pup named Razzle, but after giving me a quick glance and wag of his tail, he returned to his peanut butter-stuffed Kong, which he was attacking with gusto. Razzle is practicing the motto of a friend of mine, Laurey, who has a successful catering business and has actually trademarked the phrase Don’t Postpone Joy (sorry, not sure how to add the trademark symbol here!) and has added it to coffee mugs, aprons, bumper stickers, and other items in her shop. Laurey is a two-time cancer survivor, and is now fighting a recurrence, but she is a living example of this motto. In addition to operating a busy catering business and popular Asheville eatery where the tagline is “gourmet comfort food,” Laurey’s life is full of adventures. A couple of years ago she biked across the US with a group of women to raise awareness of ovarian cancer. She took up glass blowing as a hobby, and the windows of her shop are filled with colorful glass ornaments for sale. She scatters the less perfect ones around her organic garden to catch the sun. Her latest venture is bee-keeping, and she’s currently writing a book about it. Her close companion through all this, including the cancer treatments, is her beautiful dog Tye, who comforts her during the dark moments and shares the joy of just being together on a sunshine-filled fall day. I was at the Humane Society again this week, and am happy to report that Razzle has been adopted. May he bring his new family much joy, every day. I will carry the image of him enjoying his Kong in my mind, as a reminder to not wait to embrace what you love, and those you love. 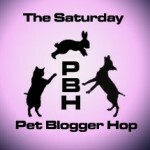 This post is part of the Saturday Pet Bloggers blog hop hosted by Life with Dogs. 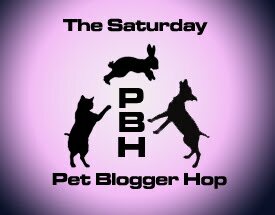 Please leave a comment and visit some of the other bloggers! Browsing through my photo archives, I found this photo of Alex and Emily taken shortly after Alex joined our family in August, 2008. 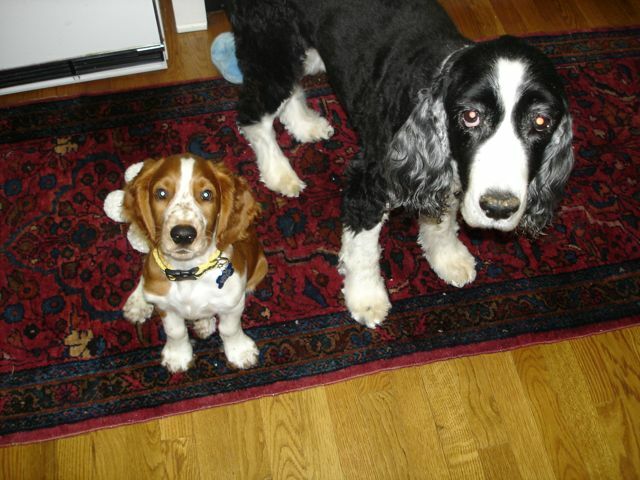 He was ten weeks old, and Emily was about 14 – as she was a rescue, I never knew her exact age. 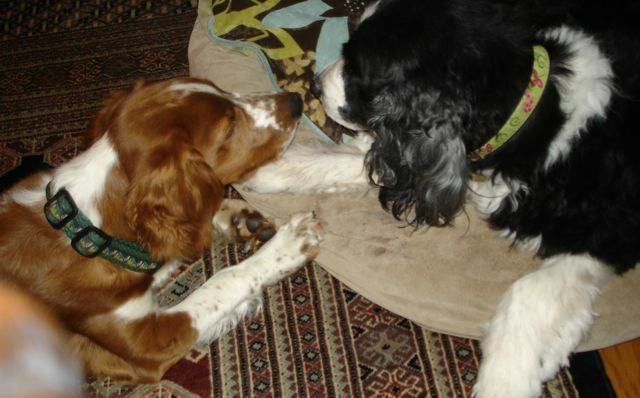 I had no idea how she would react to a puppy – in fact, I was a bit scared – but Emily seemed to enjoy Alex’s company and was patient when he thought her long spaniel ears were a tug-toy! I treasure the photos I have of them together, and the fact that all my dogs’ lives have overlapped. When one passes on, they pass the torch. Happy 96th Birthday to my Mom! Today my mom turns 96. Thankfully she is in good health and good spirits. The past year has had its challenges, as she survived a heart attack just before Christmas, and in late July, my father fell and broke his hip. 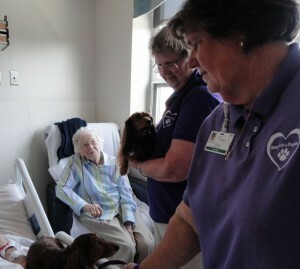 Mom is pictured in my father’s hospital room, enjoying a visit from two adorable therapy dogs, long-haired doxies Gibby and Chi-Aynn. Dad is now in skilled nursing at their retirement home, working hard at physical therapy, and Mom spends each day with him, sitting quietly in his room, reading and napping or watching TV. Tomorrow, they will have been married 71 years! It is moving to see their devotion to each other, demonstrated in small gestures – smoothing a blanket, a squeeze of gnarled hands. We hope Dad will be able to come home soon! Meanwhile the dogs and I visit often, and their faces light up at the sight of wagging tails. My parents both love dogs. I guess the apple doesn’t fall far from the tree! 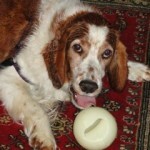 Posted in therapy dogs, Uncategorized | Comments Off on Happy 96th Birthday to my Mom! Baker is encouraging everyone to hop on over to his friend Sugar the Golden Retriever’s blog for “Tasty Tuesday” recipes for paw-licious dog treats! 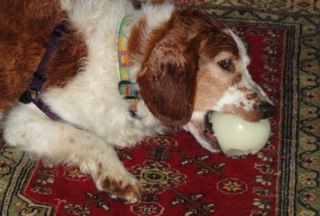 Baker is pictured munching on his favorite toy, the glow-ball, and is wearing his cupcake collar from Upcountry. He is also wearing a bit of rain from Tropical Storm Lee which passed through our area yesterday. A good day to stay inside and dream of dog cookies! 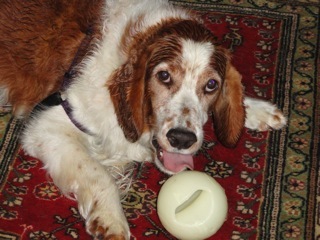 My ball has an opening for treats! I was thrilled to see this CNN article on the wonderful work of the Search Dog Foundation, which trains shelter and rescue dogs for search and rescue. Also, they make a lifetime commitment to the dog, providing for it even if it doesn’t complete the training, or after its retirement. With the increasing number of natural disasters around the world their lifesaving work is more important than ever, and they are totally supported by grants and donations. As described in the article, founder Wilma Melville’s vision shows that each of us can make a difference. 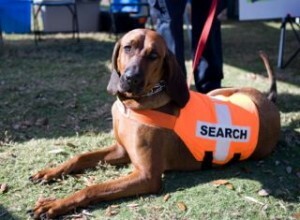 Congratulations, Wilma, on being selected as one of CNN’s Everyday Heroes!